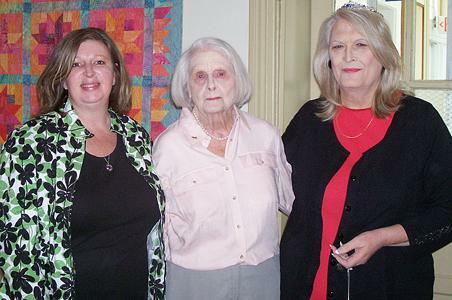 Jane Sinnama, (made the announcement), Valerie Rucker Routon, (Stephanie's mother watched.) and to her left is Stephanie Tayloe. regarding early years in the community of Dancyville. SEE the INDEX for MRS. ROUTON'S contributions.